By now, I’m sure you realize that having a website for your business is not optional anymore! Furthermore, did you know that companies that blog have 55% more website visitors than companies that don’t blog ( Hubspot.com). This should be enough of an incentive to convince you to also add a blog to your business website and keep it active! 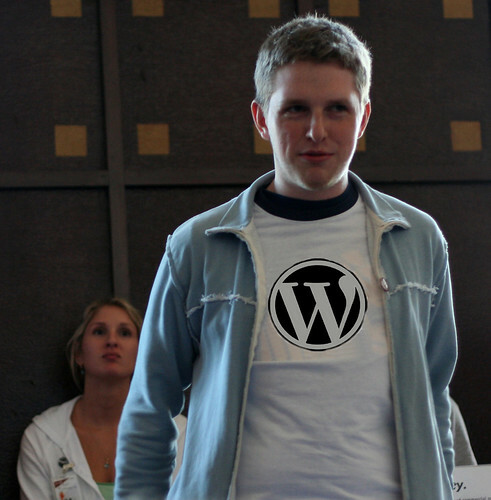 WordPress is an excellent platform for creating blogs and/or professional websites! WordPress is an Open Source Software which means that you do not have to pay to use it. It is simple enough for a beginner to learn and manage on their own and is extremely flexible. As of today, there are 55,429,107 WordPress.com sites in the world and the newest version of WordPress.org (3.4) has been downloaded 14,327,651 times which makes it currently the most popular content management system (CMS) in use on the Internet. WordPress.com is a free hosting platform but you can’t upload a custom theme or plugins. You don’t control the software or the database. WordPress.org is also free to download but it is self-hosted which means that you’ll have to pay for hosting services. You have complete control of your website and blog. You can install themes and plugins but you’re also responsible for backups of your site. Themes allow users to change the look and functionality of a WordPress website without altering the informational content. As an example, I created this website using Headway Themes. Widgets allow to add functionality to your site and make it easy to customize the content of your sidebar(s). Plugins are tools that add to the functionality to your WordPress website. Plugins offer custom functions and features so that you can tailor your site to your own specific needs. Here’s a list of my own Plugins I’ve used. Simply Business created this fantastic Step-by-step interactive guide to help you build your own WordPress website (click the image below to open the interactive version). Make sure to click on the “no” below each question on the interactive guide to see the tutorials and additional information. Do you manage your own website and blog?